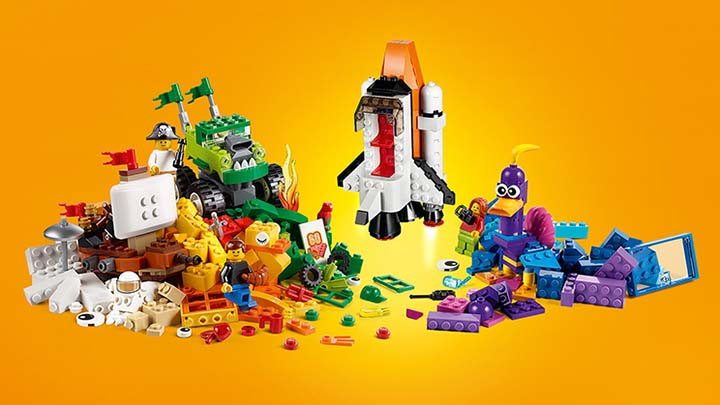 Help your child think bigger, build bigger and use their creativity with this special edition adventure-filled LEGO set, featuring a range of colorful bricks and elements, plus a unique 60th anniversary LEGO tile. No matter how big a childs imagination is, expand it with LEGO bricks. 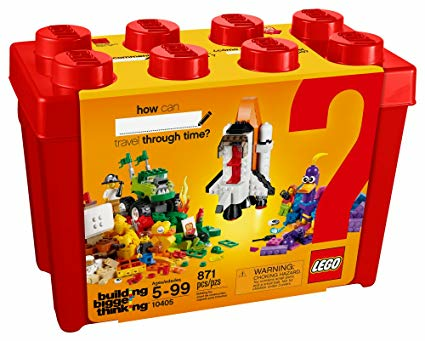 This building toy offers varying levels of building complexity, makes an excellent starter set for budding LEGO builders and includes 3 minifigures. What will your big thinker build? Accessory elements include a parrot, snake, apple, croissant, popsicle, loaf of bread, mug and glass, wrench, camera, binoculars, knights sword, pirates sword, 3 wigs, 2 pirate hats, 2 helmets with interchangeable space and underwater visors, knights helmet, 2 sets of flippers and a stick of dynamite. This special edition building toy is suitable for ages 5+.All Lego items are not dis-countable.